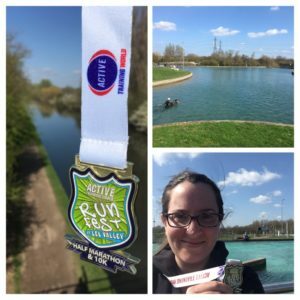 Lee Valley half marathon 2019- so close! A couple of years ago I ran this race with my dad and totally loved it. I’d not been to the park before, but it’s a great place to visit, filled with rivers, lakes, waterways, parks, forests and so on, as well as the white water rafting centre that was used in the London Olympics. Last year I did the 10k, which was one lap, whereas the half is 2 (they do deviate slightly of course), and while I was running it last year I did think that perhaps I preferred the half marathon, so this year I signed back up for that distance. I had some toast, left home at around 8.15 and arrived at 8.45. The race wasn’t until 10am, but the 10k was at 9.45, and both sets of runners had to be at the main briefing at 9.30, plus you had to collect your pack on the day and I never know how long the queues will be. This year the tents for collecting race packs were on the edge of the field (where you park)- you had to walk past them to get to the bridge to the main centre, so it was all very easy. There were port-a-loos in the field, but they also let you use the toilets in the main block (there’s a cafe in there too). As I was there early I decided to go and it was a good decision as there was no queue, but probably about 5 mins later there was a huge queue, with the car park and registration queues being busy too. I had packed safety pins, but didn’t think about anything for my bag drop bag. Handily the person on the bag drop had a stapler with him, so he could loop the label around the bag and then staple it- very clever! I met one of the OH ladies at the race briefing- she was running the half but is much faster than me- I knew a few people doing the 10K but didn’t manage to see them- I think they were in the registration queues until the last moment. I didn’t have a race plan as such, but I thought I’d see how I felt, and decided to try and keep as close to 9:09 per mile (which was 2 hour pace). At the start line they mentioned a 2 hour pacer, and after spotting him I decided to follow him and see how long I could hang on for. It was crowded and a lot of people were around the 2 hour pacer, so I didn’t let myself get too stressed about it at the start- I was keeping him in sight and would count when he passed a certain landmark- generally I was around 10 seconds back. I was feeling OK- it was hard work but I was not blowing to pieces or anything, and I was enjoying the scenery still. It was a sunny morning and I did wish I’d worn a visor as my face was feeling very hot at times. The route is very flat, apart from a few pedestrian bridges that you run over- a couple are fairly steep so they do feel rather mean. I had my run leader’s voice in my head, saying “use your arms” each time I got to one of those. Half way through I was still keeping up with the 2 hour pacer, but I was trying not to look at my watch too much as I hadn’t written down any mile splits so I wasn’t 100% sure if we were ahead or behind. Looking at Strava, we did the first few miles much faster. At around 9.5 miles, I started to get a stitch and nothing I did seemed to get rid of it. I felt like I was really slowing, and the counting from the 2 hour pacer went from 10 seconds to more like 30- nothing really bad but with the stitch it felt like I wouldn’t be able to catch up. I always like the 10 mile point as you can think “just a parkrun to go” and know that it will be done in half an hour. At that point I looked at my watch and I think I had been running for 1:33, but doing a sub 27 min 5K would be unrealistic for me so I tried not to worry about it and carry on enjoying the race. I reminded myself to smile (it does make you feel better) and thought back to when I ran it with Dad 2 years ago. 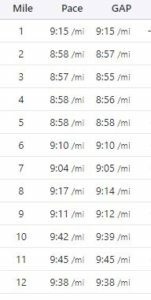 I did fade in those final few miles (I can’t snip it from Strava but mile 13 was 9:34 with 8:31 for the .1) and as it got more twisty I finally lost sight of the 2 hour pacer at about mile 11 I think. Once you’ve finished both loops you have to run over a bridge and then around towards the rafting centre- you can see the finish funnel but you have to run away from it before you come around to it, and the final small bit is up a slope which feels very mean! Some of the OH ladies had run the 10k and they were out cheering- I think I managed a wave as I ran past. As I crossed the finish line my watch told me it was my fastest half, and it nearly is! My chip time was 2:02:00, and although it’s 2 mins slower than 2 hour pace, it’s pretty close and I’m going to be happy with it. I could have run around in 2:15 and chatted the whole way, but I had aimed for being out of my comfort zone (and it certainly was at the end). I was given a medal and then picked up a banana and some water (which turned out to be weird cactus juice infused or something) and had to sit on a wall as I felt a bit spaced out. I wandered down to the finish to see the OH ladies but I couldn’t find them, so I took a few photos and then headed back to the car. In 2016 I ran the Brighton half marathon in 1:59:09, but it later turned out that the course was short, and although I worked out that if I took my average speed from the half, I would have needed another 49 seconds to finish (which would have been sub 2) it still doesn’t count! I’ve run 2:03 a couple of times since then at Brighton, and a few more under 2:05, so I’m inching closer! Maybe next year! And I suppose this is officially my half marathon pb, because my old pb was on a slightly short course? Traffic getting home was not so good, not helped by the fact that you couldn’t turn right out of the park (I understand why, it just didn’t help me) so I had to turn left, then do a u-turn at a massive and grid-locked roundabout which probably added about 15 mins on. Anyway, shower, then a cinnamon roll (another good reason for going into London on the Saturday) for brunch. To stretch out my legs we wandered into town in the afternoon and it was so good I got an iced drink (I even remembered to pack my metal straw- I think what I need is a bit like a travel toothbrush holder to keep it in) and we sat outside. 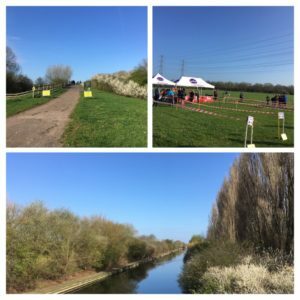 Author Maria RunsPosted on March 31, 2019 Categories General ramblings, Running8 Comments on Lee Valley half marathon 2019- so close! 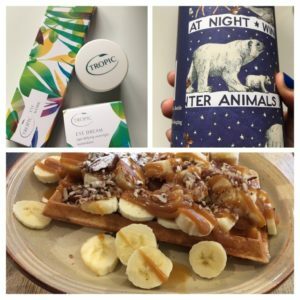 A Waffle House trip, fudge-making and my ultimate dinner! On Thursday after work I went out on my only mid-week run of the week. It was really mild- I only needed a t-shirt and it wasn’t even too windy. Andy was out and so I got to treat myself to my favourite dinner- ultimate beans on toast. 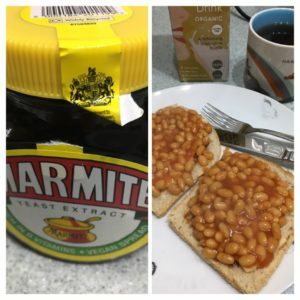 Sourdough toast, with a little marmite spread on, a sprinkle of cheese (I am loving the violife vegan cheese as it melts well and actually tastes nice) and then beans on top. We’d had a busy week at work so I decided to make some fudge to help everyone get through Friday. 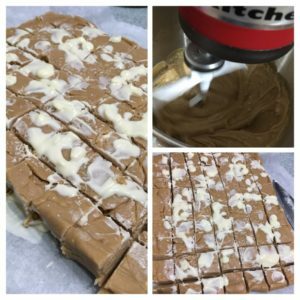 Peanut butter and white chocolate fudge- always goes down well! 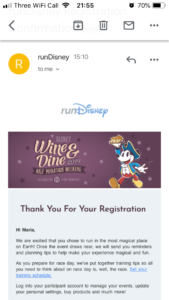 (Yay, another race at Walt Disney World in October-Just the 5k this time as then I may even manage the parkrun on the Saturday before we fly home…). 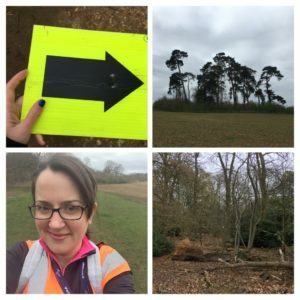 On Saturday I’d volunteered to tail walk at Panshanger because I didn’t want to run the day before the half marathon. 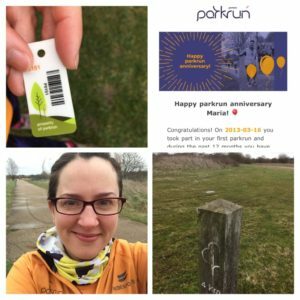 I was stood in the car park (where the start is) with my volunteer top on, and I was approached by a couple of people who started to ask me about how parkrun worked. They were planning on walking it, and wanted reassurance that it was OK. 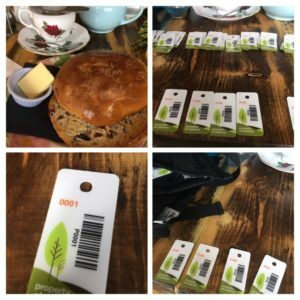 I also explained how to barcode worked, and a bit of the course description. Then I saw Dad as he’d come over to run at Panshanger- as he had a slight injury he was wanting to take it slowly, so he walked with me for the first km or so before heading off to run the rest. He didn’t wait around as he was heading into London for the march in the afternoon. As I walked around the route, a few marshals joined me towards the end, so we all had a good chat about all things running. As we approached the finish I jogged a little to catch up with the last few people (as I had to also collect signs and close the gates behind me, so I tend to be a bit further back anyway). Once I’d finished the pair of people came to ask me where they went next, so I pointed out the scanners to them, and asked how they’d enjoyed it. They said they had loved it and would be back, and that made me so happy. I think parkrun would benefit so many people, but it’s hard to get people to really believe that you can literally walk the whole course and it doesn’t matter, the marshals etc expect to be there until 10am. I rushed home once I was finished (56:12- my 190th parkrun), as we were also heading into London for the afternoon. 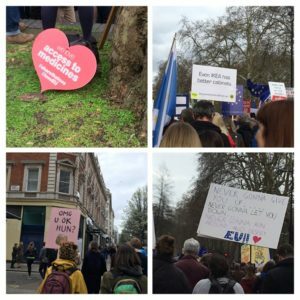 Above- some of my favourite signs (We love access to medicines/Even IKEA has better cabinets/OMG U OK HUN? which was my ultimate favourite/ Never gonna give EU up). I saw loads more- Fromage not Farage being another favourite, and one with a photo of Tommy Wiseau (from The Room) with “You’re tearing us apart” which properly made me laugh out loud. I mean, I don’t want to go on about it because I feel rather a lot of despair (watching a documentary about the European parliament the other week actually made me cry for so many reasons) so you have to laugh otherwise you’d have a breakdown. And a selfie with Angela (well, a cardboard cut out of her, because of course someone has one of those…). 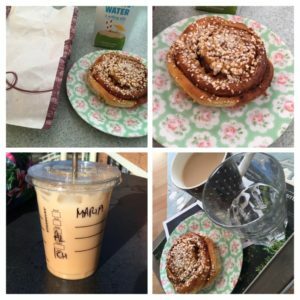 As a treat we had decided to head to the amazing Swedish bakery afterwards, and bought one of their Easter specials (a bit like the amazing school bread from the Norway bakery in Epcot- a cardamom spiced bun filled with almond paste) which we enjoyed with a pot of tea once home. 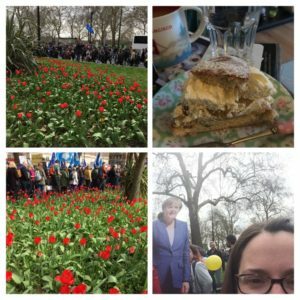 Not sure that traipsing around London the day before a half marathon is the best idea, but it was important. Do you head into London much? How much rest do you have in the week leading up to a race? I think it varies for me quite a bit- having a busy week at work meant it forced me to have more rest than usual. 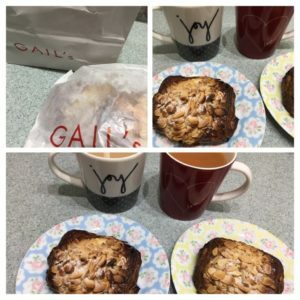 Author Maria RunsPosted on March 26, 2019 Categories General ramblings, Running, Stuff I love!6 Comments on A Waffle House trip, fudge-making and my ultimate dinner! Last week on Saturday afternoon, Andy and I headed into town as I’d won some free pancakes from Bill’s, so we thought we’d head for a late lunch. 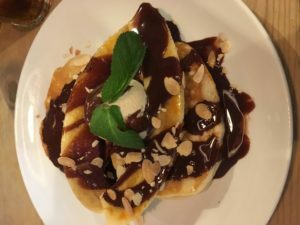 Andy had a burger, while I had pancakes with caramelised banana, chocolate sauce, almonds and salted caramel ice cream. They were delicious- if only they were on their menu all the year round. I had some work to get on with in the afternoon, as well as more name changing things (trying to change the name on my paypal is proving to be hard, but not as impossible as the saga with the Post Office continues, although my new passport came so I got my driving licence paperwork ready to be sent off) and we watched a film in the evening (but I cannot remember what it was, although it was possibly some of the Michael Jackson docu which I have erased from my brain because it showed just how creepy he was). On Sunday morning I was off for a run- I’d pencilled in 9-10 miles, and I was going to meet Andy in town for breakfast after, as I had a voucher for porridge from Caffe Nero (these shops know how to get me!). I’d vaguely planned a route (that’s not like you, you normally precisely plan your routes I hear you cry), and I ended up going up and down a road near town a little bit to make it up to 9 miles. It was pretty windy so when I got to 9 miles I stopped and went into the cafe. 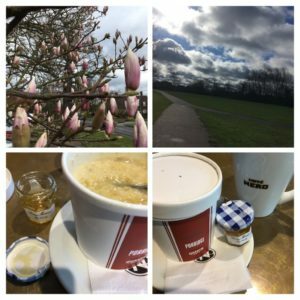 I got a porridge plus honey (an entire mini jar of honey which at first I thought would be too much, and then after a while I tipped it all in…) and a tea, and listened to a podcast while Andy walked in to meet me, bringing my coat. 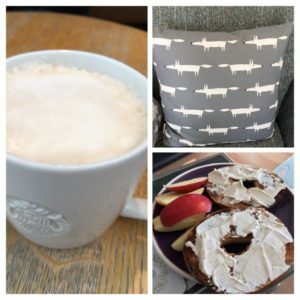 We then popped to John Lewis as I’d decided to spend a voucher on a cushion for one of our arm chairs, and then I needed to use my Vitality Starbucks voucher so I got a chai latte before we walked home. It was so windy and kept raining, blowing over and even hailing on our walk home- the hot shower once home was very much appreciated! We’d bought some bagels and some Nush cream cheese (which is made from almonds) for lunch which was very tasty too. We then popped over to see Andy’s parents for a few hours, sitting inside and watching the wind blow everything everywhere- will this autumnal weather ever end?? The week was fairly quiet- Monday was a walk after work, Tuesday I was back late due to bad traffic and also felt pretty tired so just did a 3 mile run. On Wednesday yoga was super busy (16 people I think) with lots of new people, and we did a lot of work on breathing, a lot of core work and some nice inversions. 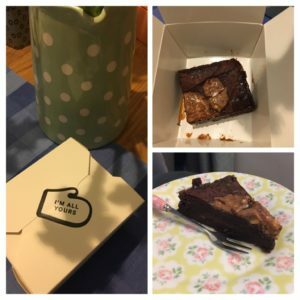 Andy had been out for dinner and I’d persuaded him to pop to The Pudding Stop after to get some take away (the loyalty card scheme is transferring over to a new system at the end of March and I only needed one more stamp…). He did good, getting us a peanut butter and salted caramel brownie to share on Wednesday, and a pecan pie to share for Thursday. On Thursday I was feeling really tired again in the evening, and was pondering on just having a walk instead, but in the end I decided I’d feel better after, and I think it was the right decision. I had in the back of my mind that I’ve got another half marathon next weekend so I can’t ease off too much before then. It’s a hard call to make sometimes. I did 4 miles and then got home, had a shower and put my PJ’s on. 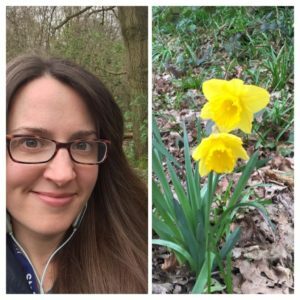 I felt OK afterwards, so I think it was the right decision, but it isn’t always easy to work out, especially when I can feel very mentally drained after a day at work and it’s hard to distinguish between that and physical tiredness sometimes. 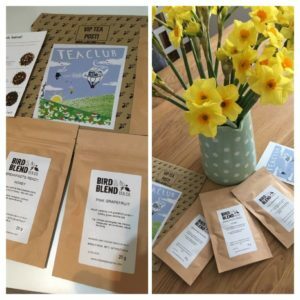 Andy messaged me on Friday to let me know that my tea club had arrived- it’s always a good day when that happens! How do you know when to rest and when to keep going? Are you easily swayed by a freebie? Sunday night finished with a hot chocolate (the velvetiser does make amazing hot chocolates), and then on Monday after work I met Andy in town and we had our free cake at John Lewis and a browse around the shop. On Tuesday the plan was for a run, but when I got home Andy had just given the bathroom another coat of paint, so I couldn’t have a shower until 10pm- I didn’t fancy running and then being all sweaty for ages so we had a long walk instead, and I had a quick shower (no hair wash) straight before bed. I’d had a sore shoulder so after the walk I did a 15 min yoga video on you tube, plus a bit of tennis ball rolling, and it helped so much. I must remember it more often! The conjunctivitis cleared up in one eye but then it appeared in the other eye (I thought I was being careful about handwashing and so on, but apparently I rub my eyes in my sleep so I stood no chance). I was a bit fed up by the end of the 5 days of drops per eye because whenever I did the drops, some of the liquid would go down my throat and they tasted absolutely vile. (No lasting damage from the chilli powder thankfully!). 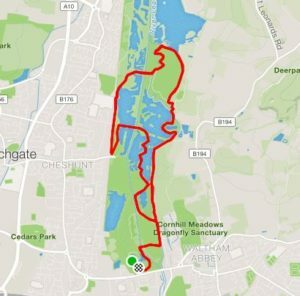 One day I got a notification saying that someone else had taken my course record on a Strava segment – I didn’t even know that I had the record! I’ve not run up that road for ages as I used to run it with the midweek OH lady club runs, so I probably won’t claim it back. It does surprise me because I’m not the fastest runner- maybe they are just not on Strava! Wednesday night I was back at yoga- I’d missed weeks because of meetings at work and it isn’t on in the school holidays. The people in the class who’d been last week were talking about the previous class and how much they ached after, so the class was tailored to be another tough one! We did a lot of holding poses for a long time, and by the end of the warrior poses (imagine holding a lunge pose for ages) my legs were properly shaking! I managed to balance in the crow pose for a bit, and the final relaxation was very welcome! 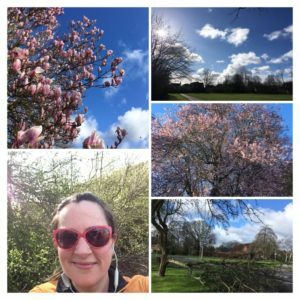 On Thursday I finally managed a run- it was raining but with the new download of With Me Now (my favourite parkrun podcast) it didn’t seem quite so bad, and my 4 mile route turned out to be 5 miles so it was lucky that I was happy being out there. Andy had been to London for a meeting, and so had gone to the amazing Swedish bakery in Covent Garden and picked us up a couple of cinnamon buns- they are totally amazing. On Friday I was home relatively early so we had a nice long walk before watching Free Solo- honestly I could not have watched that in the cinema- it gave me sweaty hands just thinking about some of it. It was a very interesting film, and did make me want to go back to Yosemite, not for any sort of climbing though! 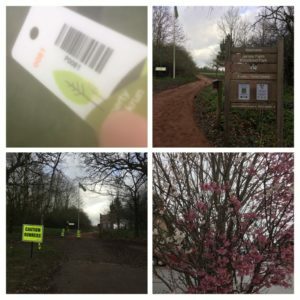 On Saturday morning I parked outside my parents and then ran to Jersey Farm parkrun, where I had planned to run then sort tokens. The rain took me by surprise as I didn’t even have a coat with me (I didn’t want to carry loads of things on the run there/back). I had a lovely time chatting to lots of people before it started, but when I spoke to the RD he told me that they sort them in the cafe afterwards. At Ellenbrook and Panshanger there isn’t a cafe (just coffee vans) so it’s done by the finish (which means as soon as you finish running you can start sorting them, and then finish the last ones as the final runners come in), so I felt rather anxious about this sort of situation when I don’t really know anyone. 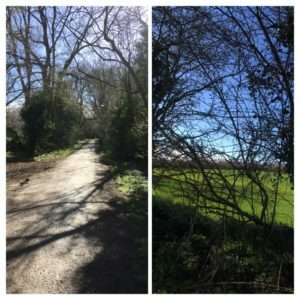 I enjoyed the run and persuaded myself that getting out of my comfort zone was good for me, and that I would enjoy visiting the cafe (it’s the gorgeous Heartwood tearooms where I’d been for breakfast with my brother before). After finishing my run I stood and chatted to a few runners, and helped pick up signs that were blowing everywhere in the wind, but the rain got heavy so they told me to go on ahead as I was getting rather wet. I jogged the half mile or so to the cafe and ordered myself a tea and teacake (thinking it would be a smaller option than pancakes)- well it was huge! I’m not sure the picture really conveys how big it is! I had a slight panic when someone at another table asked if they took card- I was assuming that they would as all I had with me was my phone- I keep my debit card and an emergency £5 in the case- as I thought I’d be going home for breakfast…. thankfully they did- I was rather relieved as I was eating my tea cake at this point. After a while the RD turned up with the tokens, so I sorted them into tens, then put them in order back onto the cable tie. 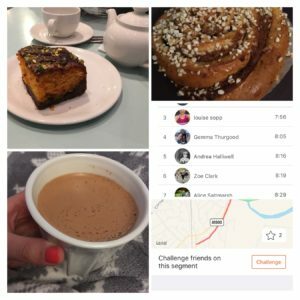 One of my colleagues happened to turn up for breakfast with her husband, and was trying to work out what I was doing, so I explained it to her, and then at another table a couple of parkrun tourists were having their breakfast (one of whom writes a blog about all his parkrun tourist adventures), so we chatted for a while too. It was really enjoyable (of course- what was I worried about?). Of course I had to take a photo of token number 1 as I’d not stand a chance of getting one in the wild! However, the run back to the car (around 1.5 miles) wasn’t quite as comfortable being full of tea and teacake! I’d happily do this again for Jersey Farm parkrun, and next time I’d know to park a little closer to the cafe to make the walk back to the car a little more comfortable. At least by the time I left the sun had come out. In my results text I found out I’d got a course pb too- 29:51- a successful morning all round (and for those who like the running challenges, I increased my p-index to 4, meaning I’ve run 4 or more times at 4 parkruns).